1. What is the reason for pursuing your Online MSF? What is the reason for pursuing your Online MSF? 2. What track are you considering? What track are you considering? U.S. News & World Report ranks Northeastern University #37 (tied) in the U.S. in the Best Online Graduate Business Programs (excluding MBA) category for 2018. Accredited by the Association to Advance Collegiate Schools of Business International—the highest standard of achievement for business schools worldwide. The financial industry has changed dramatically in recent years. Shifting regulatory regimes, the growing complexity of global trade, and the rise of mobile banking are just a few of the industry’s new realities. Being able to adapt accordingly can propel your future in the field—and that is exactly what Northeastern University’s Online Master of Science in Finance can prepare you to do. Complete coursework 100% online—no residencies required. Earn your degree in as few as 16 months while continuing to work. Study at an AACSB and regionally accredited business school. Choose from two tracks—Corporate Finance or Investment Finance. Consider our dual degree option—Online Master of Science in Finance/MBA. Designed for busy professionals, our Online Master’s in Finance can equip you with the graduate-level knowledge and management foundation to unlock new opportunities for growth in your company—and in your career. 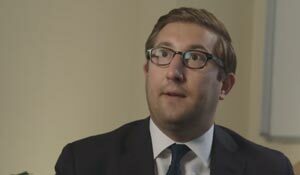 Why Earn Your Online Master of Science in Finance? Technological innovation and ever-shifting economic environments continue to transform the role of finance in global business. As a result, employers worldwide seek qualified financial experts who can diversify their financial portfolios, effectively minimize risks, maximize return on investments, and sustain growth. A master’s degree in finance can provide the foundation to meet these demands and secure your place as an industry leader. 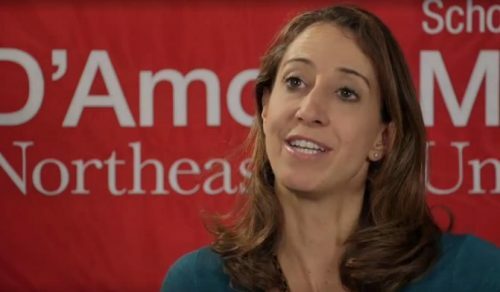 Why Choose Northeastern University’s Online Master of Science in Finance? How can you prepare to become a strategic planner, problem solver, and innovative leader in the finance field? Earn your Online Master of Science in Finance degree from a top-ranked and AACSB-accredited business school. 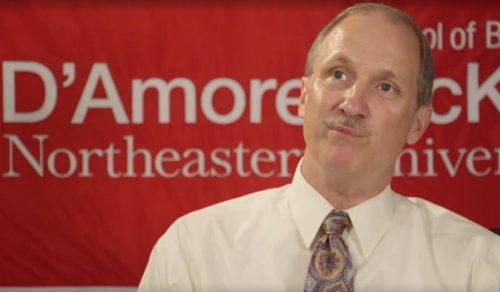 Northeastern University’s D’Amore-McKim School of Business has a distinguished history and a reputation for excellence in teaching, learning, and research. The dedicated faculty members who deliver our Online Master’s in Finance program are accomplished scholars and experts in finance. Northeastern is a global leader in practice-based education, and we continuously advance our methods to meet your ever-changing needs. We foster a rich culture of experiential learning and entrepreneurial thinking that allows you to put ideas into action, discover your passion, and grow intellectually. Why is this so important? Because learning is more than just studying; learning is doing. With their guidance, you can complete a highly immersive and comprehensive curriculum that expertly blends current financial theory with real-world business practice. Learn the essentials of finance and cultivate the high-level knowledge to drive financial strategy, increase shareholder value, support flexible operating models, minimize risks, and maximize revenues. Explore the advanced communication skills necessary to lead teams, address complex financial challenges, and collaborate with business leaders in a global context. Interact with and learn from an award-winning faculty of experienced finance professionals. Benefit from the Master of Science in Finance’s innovative online format—accessible anywhere and anytime you’re connected to the Internet. Collaborate with virtual classmates from across the finance spectrum and gain access to Northeastern’s network of 235,000 distinguished alumni. 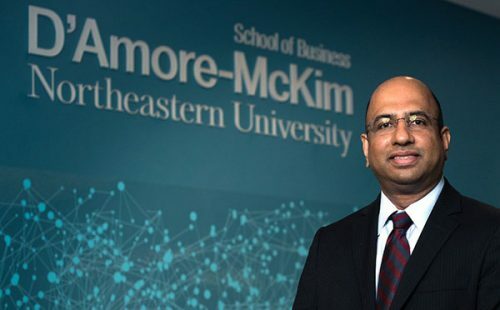 The esteemed faculty at Northeastern University’s D’Amore-McKim School of Business are accomplished scholars and industry experts in finance, accounting, taxation, and business. In addition to bringing a remarkable level of real-world experience and cutting-edge research into your online classrooms, they also bring an unwavering commitment to your success. They’ll strive to engage you in high-level discussions and challenge you to put academic theory into action. This combination of direct experience and applied research helps make Northeastern’s Online Master’s in Finance both practical and relevant. Who Should Choose Northeastern University’s Online Master of Science in Finance? 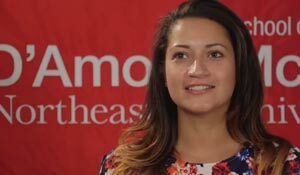 Earning your online master’s degree in finance from Northeastern University’s D’Amore-McKim School of Business can provide you with the foundation and competitive edge you need to define the direction of your career. Learn More About Our Online MSF Degree Program.